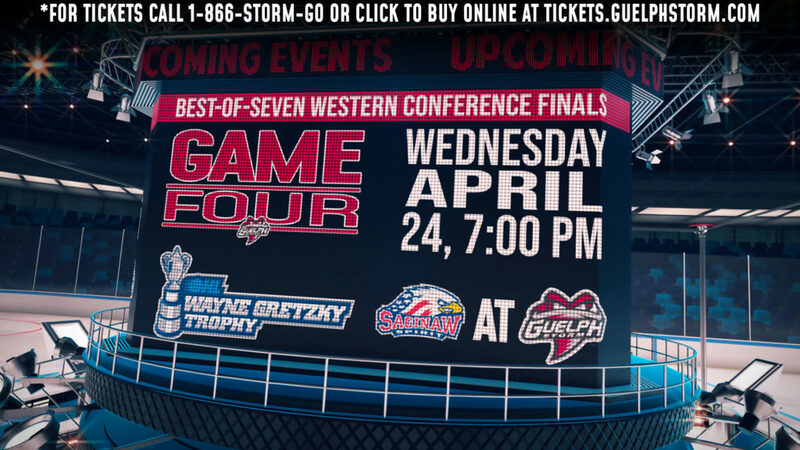 For the first game in the month of March, Guelph will welcome the Flint Firebirds into the Sleeman Centre on March 2nd. This is the last game between these two clubs this year with the Storm leading the season series 2-1 after winning the last match up 5-3. Isaac Ratcliffe put forth a first star performance scoring a hat-trick and picking up an assist to round out a 4-point night. 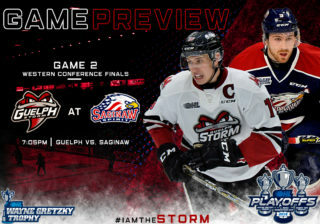 Tickets are still available for Friday and Sunday and can be purchased either in-person at the Sleeman Centre Box Office, by calling (519) 837-9690 or online at ticketmaster.com here. This game will feature 8 players with NHL affiliation. Defencemen Jalen Smereck (Arizona Coyotes) was signed as a free agent, while teammate Fedor Gordeev (Toronto Maple Leafs) was a 5th round draft pick in 2017. 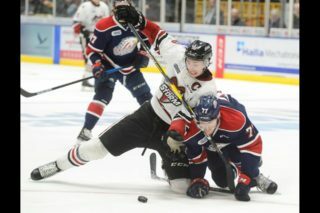 The other 6 players are on Guelph and were all drafted. Forwards Liam Hawel (Dallas Stars, 4th round), Nate Schnarr (Arizona Coyotes, 3rd round), Alexey Toropchenko (St. Louis Blues, 4th round) and Isaac Ratcliffe (Philadelphia Flyers, 2nd round) were all drafted in 2017. 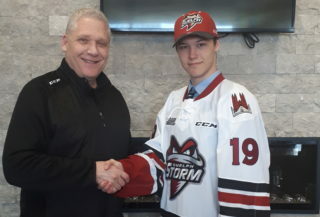 Defenceman Dmitri Samorukov (Edmonton Oilers, 3rd round) was also a 2017draftee, while Mark Shoemaker (San Jose Sharks, 6th round) is the sole player drafted in 2016 on Guelph. Leading scorer Maurizio Colella is trying to right the ship in Flint. He was recently on a 7-game point streak, which ended on Feb. 17. He has 19 goals, 33 assists and 52 points in 59 games this year. Rookie star Cam Hillis has had strong performances against Flint, including a 3-assist game last time the 2 teams played. On the season, he has 19 goals and 35 assists for 54 points, now tied for 8th in Guelph’s all-time rookie scoring.